They mobilized hundreds of officers after gently warning protesters for days that they would have to leave the lawn near City Hall, all at great expense. Pretty well, if you ask Police Chief Charlie Beck. "They took the challenge to do something different, to do something better than we've ever done it before," said Beck, "to do something in a way that would ensure absolute protection of not only rights, but people's safety and property, and they did a great job." It turns out, the raid had been in the planning stages for weeks. The operation required an overwhelming show of force, 1,400 officers in all, staged in the parking lots near Dodger Stadium. Beck said officers had drilled on how to approach the south side of the park where the protesters were camping. They were told to hold off on the tent areas until later, with hazmat units taking part in that process. Outside the park, rally lines were deployed to section off the crowds in the streets. Meanwhile, other officers arrested individuals in the center of the park. The result was close to 300 arrests with no significant violence. 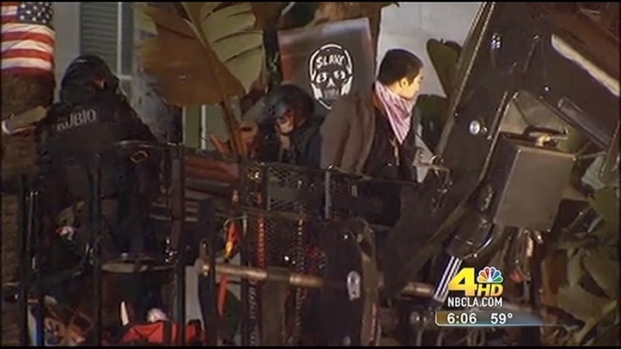 Tuesday night's operation came In the wake of the lasting images of the Rodney King incident and the 2007 MacArthur Park disaster, where officers brutally put down a fairly peaceful demonstration. 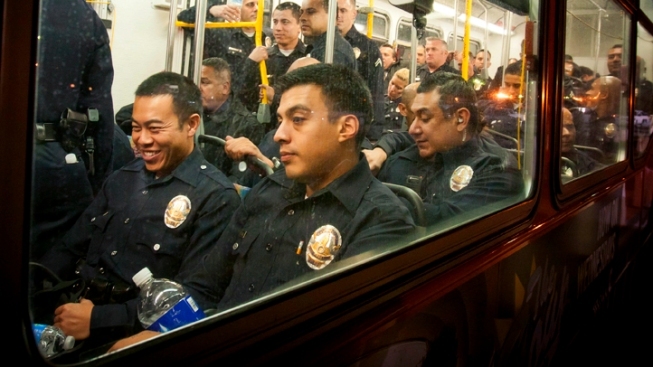 The results Tuesday night supported the department's claim that this is a new LAPD.